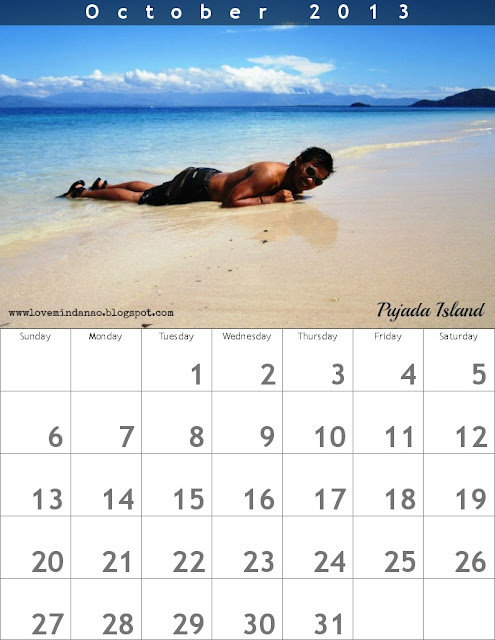 We are welcoming this New Year with O-L-A-L-A personalized 2013 calendar. 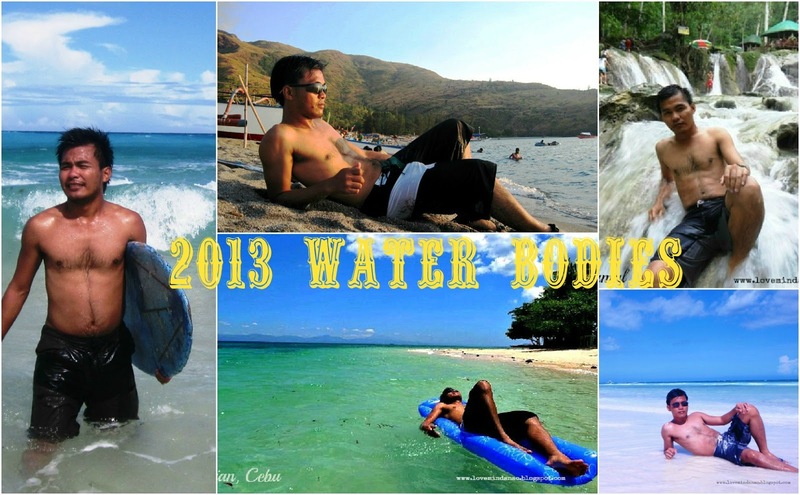 This is a compilation of my “daring” moments in various Philippine beaches. Panglao island is on top of my list as this is the very first beach that really made my jaw drop and locked for a few minutes. The white powdery sand in the long stretch beach of the island is enough to make you feel wonderful even in the most depressed moment of your life . February is my favorite as I was born in the month of 'love'.In the picture is one of my favorite destinations in Mati, Davao Oriental. This beach in Dahican is so enchanting that it made me hit the giants waves with surf boars that officially introduced me to the world of surfing. 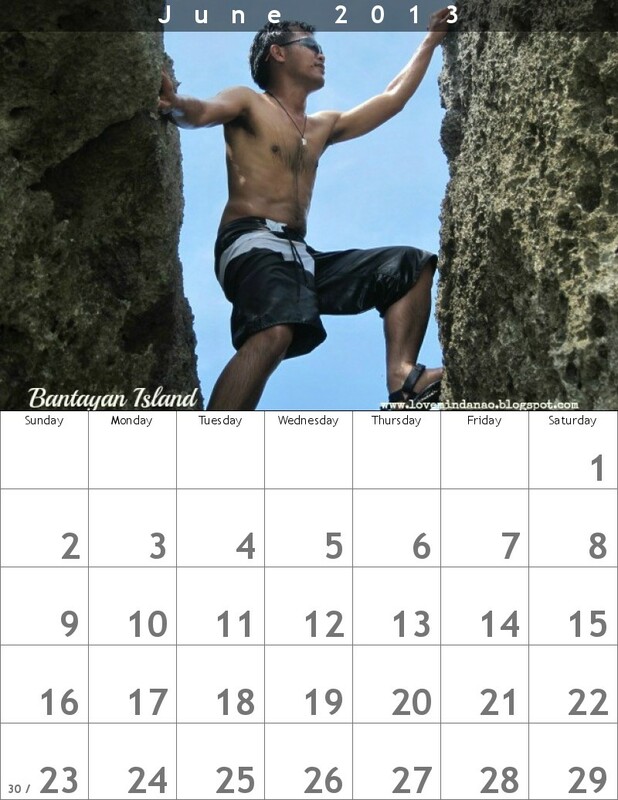 Sizzling hot weather starts in the Philippines and just timely to pose for a daring shots in the rocky shores of Gen. Luna in SiargaoIsland . 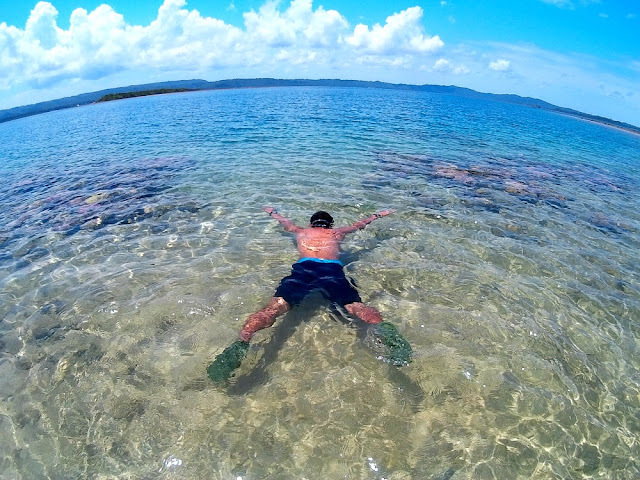 You can add a little creativity to heat up the day in the most in most adventurous islands in the Northern Mindanao after your surfing escapade. 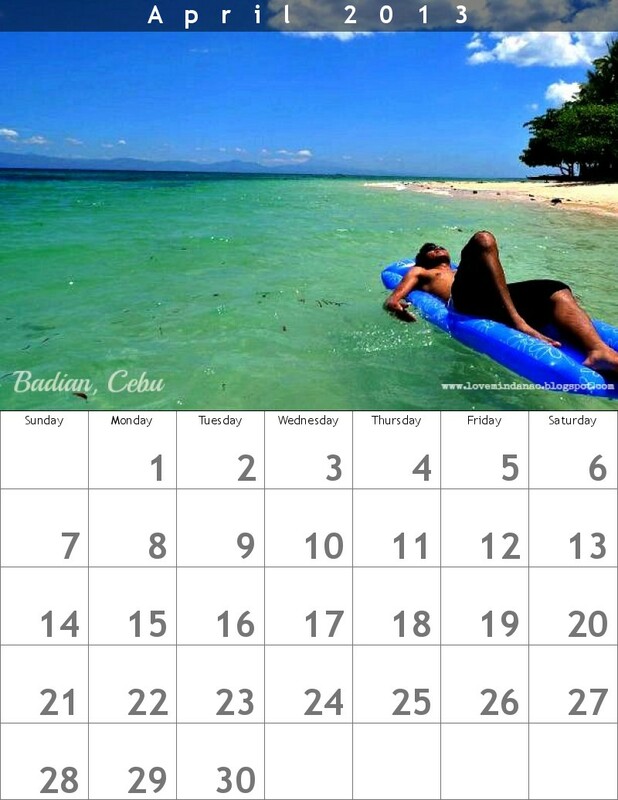 Badian in South Cebu is the ultimate definition of summer getaway. With the turquoise blue water and fine white sand, you will definitely fall in love with the place. So better prepare your skimpiest swim wear to compliment with one of the sexiest beach in Visayas. 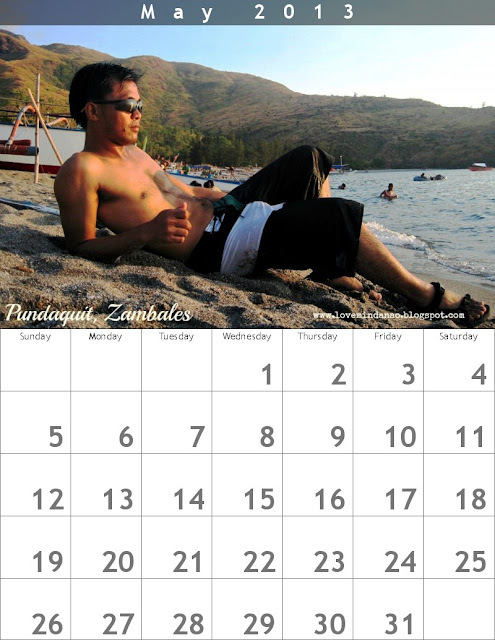 Ohhhhhh, the sunset in Pundaquit beach in San Antonio, Zambales is one of the best sunsets I have seen in the Philippines. The full crimson sun that slowly sets at the back of Camara Island is the most priceless scenery you will ever find for free. This month speaks freedom. Let those rocks scratch your skin as scars represents bravery and conquer. This is also the most sexiest tattoo you can mark in your body that tells a worthwhile story of your adventures in the rocky sides of Bantayan Island. Such adventure will give you a sense of fulfillment in your 'beachineering' escapade. 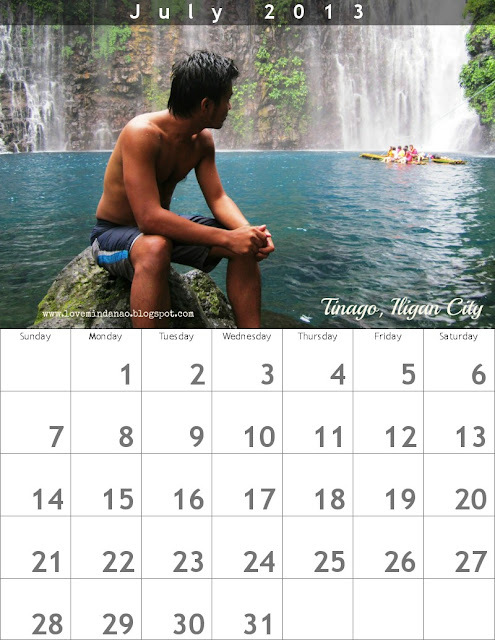 Mindanao is all about paradise and Tinago Falls in Iligan City makes me want to stay hidden in the falls of beauty . Who wants to play hide and seek? The paradise island of Palawan needs no more explanation. It captures all the awe in the world. This is a topnotch in every traveler’s bucket list. 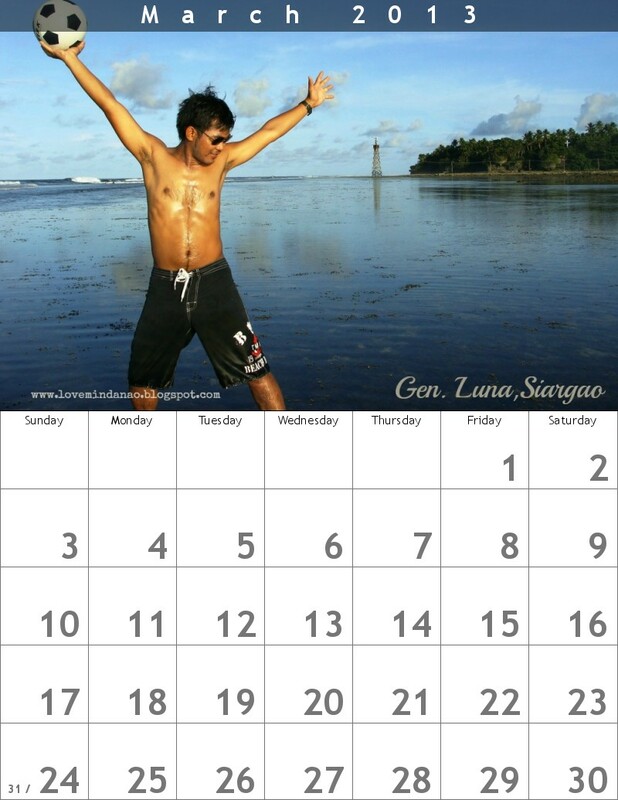 Get ready to get wet in the Island Garden City of Samal or IGACOS. This falls in Haguimit will surely be a favorite and an enjoyable place for the whole family during your visit in Davao. I am very much proud to wear my sun-kissed skin as I love to bask under the sun in the beaches of Pujada Islands, off coast of Mati, Davao Oriental. You will enjoy the refreshing clear crystal blue water perfect for ultimate beach bumming. Fear me not in this paradise beach in Sarangani Province. Not familiar to most of us,but when you reach the coast of Gumasa, this 7 kilometer white sand beach will enchant you to stay forever. 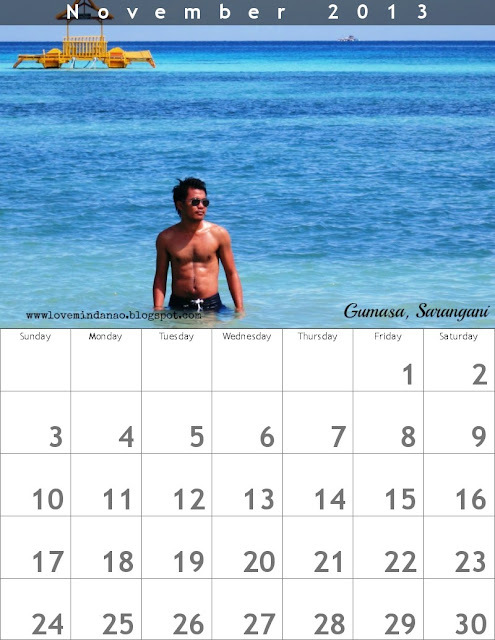 Happiest month! 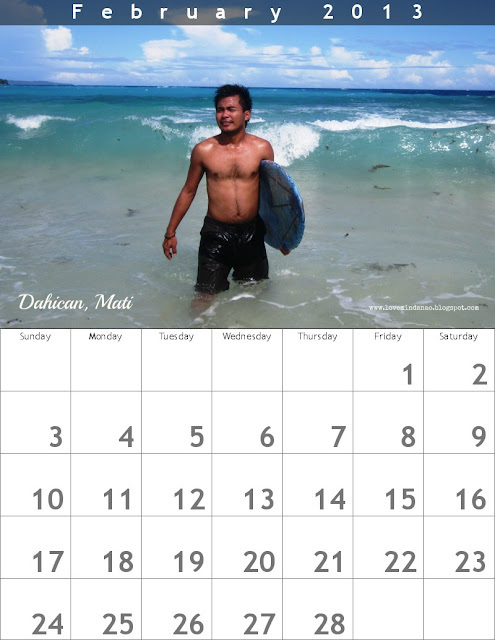 This is the month of multiple and grand holiday celebrations. 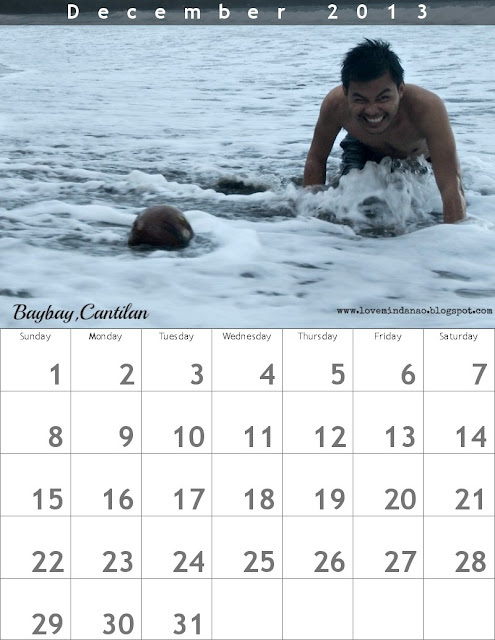 What better way to be joyful than hit the gigantic and monster beaches of Cantilan, Surigao del Sur. Recommending to Cosmo. Og aha ang pang centerfold? Goods shots ang months of February and October. May future sa photography ang kumuha niyan hehehe. not sure kung may bibili .. for personal consumption na lang cguro .. lol hahaha! coolness! haha! 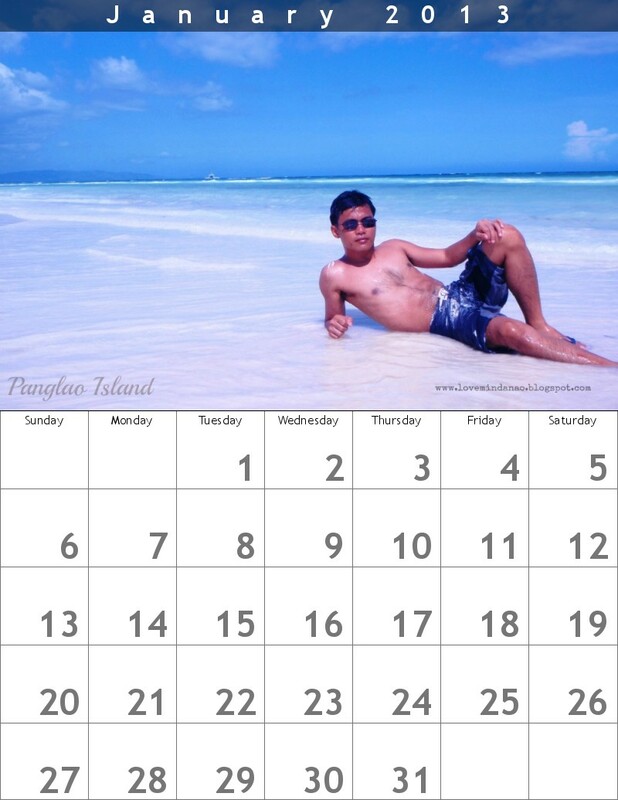 Ikaw na ang PTB calendar boy of 2013! 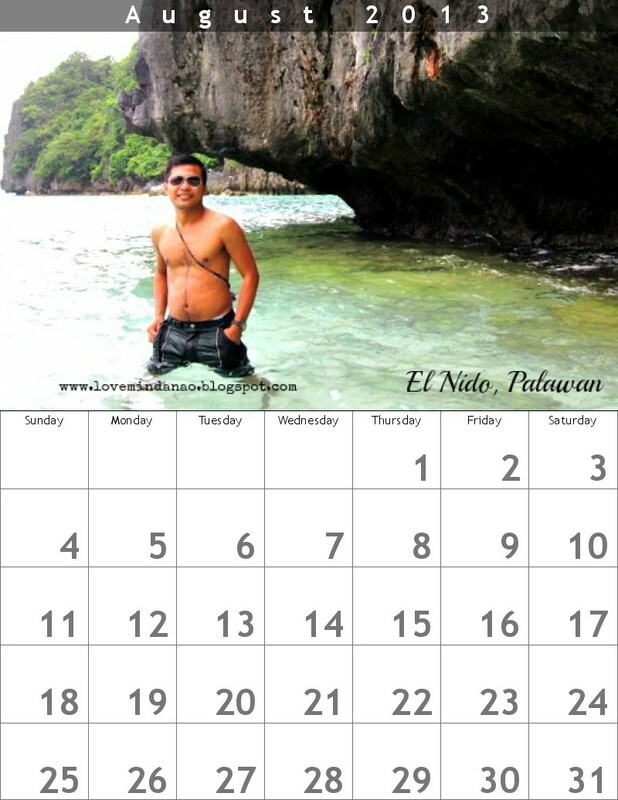 Ayos tong calendar sir hahaha model talga ang dating ..
Ikaw na ang model traveler. Great concept and nice photos. Ang cute naman nito! 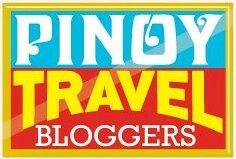 Hehehe Ikaw na ang model traveler! This one surely boosts our self confidence to show what we can do and never be afraid to do the things you think will make you feel happy.. makagawa nga ng ganito.. together with my wife!!! Whaha ikaw yan lahat? Parang iba iba katawan. :)) Anyway nice ah may personal calendar. Makagawa nga rin ng sarili kong ganyan. Haha. does your birthday happen to be on the 14th of Feb? because of your name :) December pic is lovely. Exotic October, I like it!A very nice calendar. wahaha on exotic photo of you. Nice interpretation of the 12 months of the year. You have a very good travel calendar, cheers to that. Love your adventures. I was like "Is this for real?" Great compilation of places, man. The calendar thingie was awesome as well. I can see... you have great ABS!!! cool! your gf and ex gf's will love this for sure!!! Love your trips!